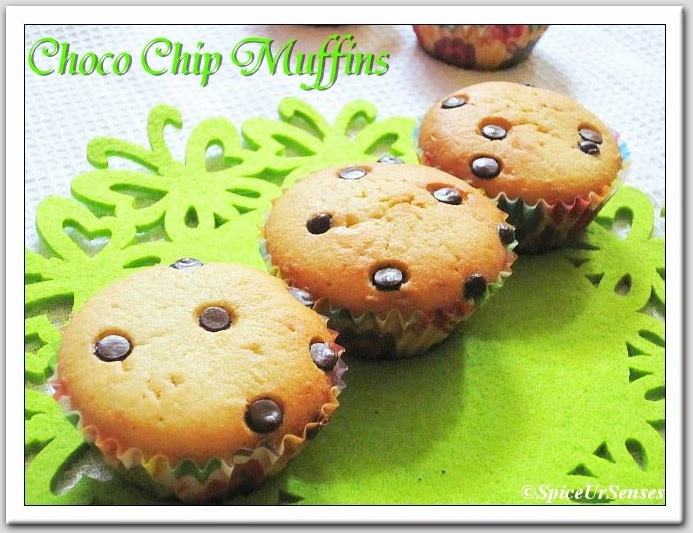 Choco Chip Muffins.. Nowadays Muffins are very famous in every Indian families, specially with kids... I prefer to make this kind of food at home only, because we know what ingredients we are adding and it is always a better option. Choco chip muffins are my favorite, i bake them very often and finished it in a 2 to 3days.. They go very well with hot cup of tea for breakfast. Preheat an oven to 350 degrees F (175 degrees C). 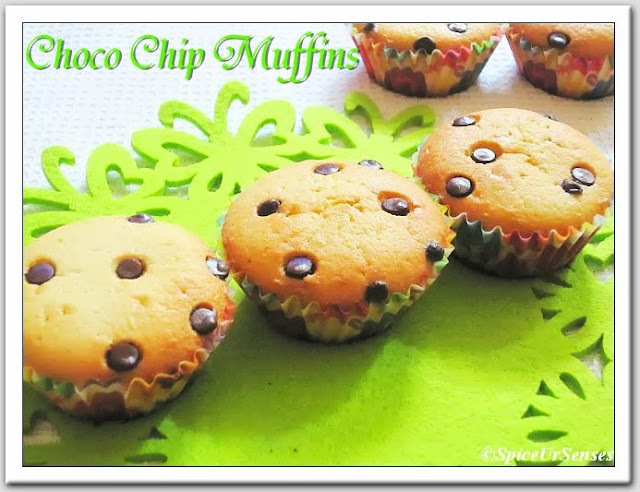 Line 9 cup muffin pans with paper baking cups. 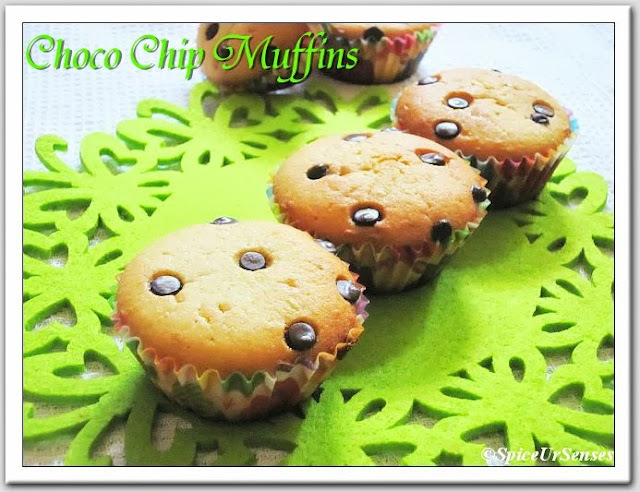 Stir together the flour, baking powder and choco chips in a large bowl, set it aside. Beat the butter and sugar with an electric mixer in a large bowl until light and fluffy. The mixture should be noticeably lighter in color. Add the egg and blend for another 1minute. Add the dry ingredients and with the speed on low mix together and slowly add the milk and just mix everything to combine. DO NOT OVERMIX! Make sure you give everything a good stir with a spatula from the bottom to incorporate any bit that wasn't mixed. You can them in a air tight container for 2 to 3days. they luk soo cute, Rumana ! 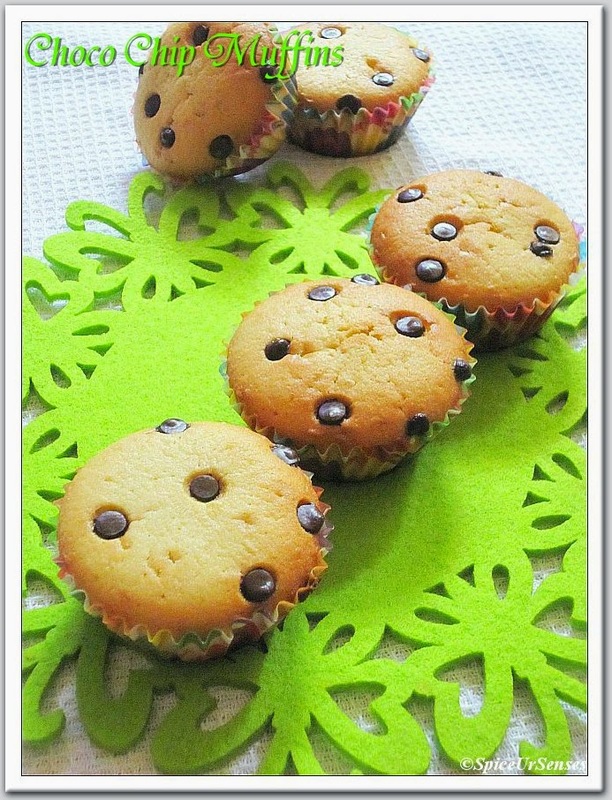 Damn cute and very addictive muffins..
wow..v perfect bake ..looks v cute! 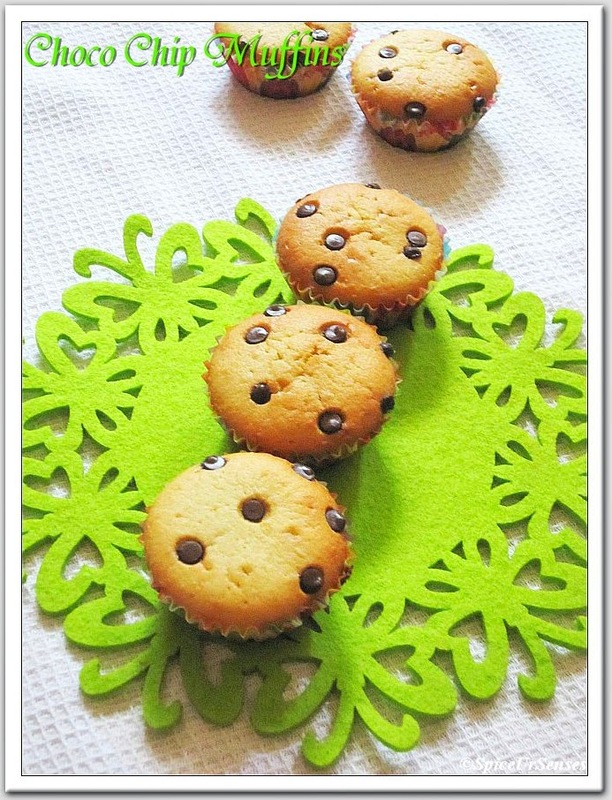 perfectly baked rumana.. looks delicious..
Muffins look simply mouthwatering and delicious preparation. great clicks as well. Delicious cup cakes with tempting choco chips. Looks delicious love that chocolate chip is not melted after baking.